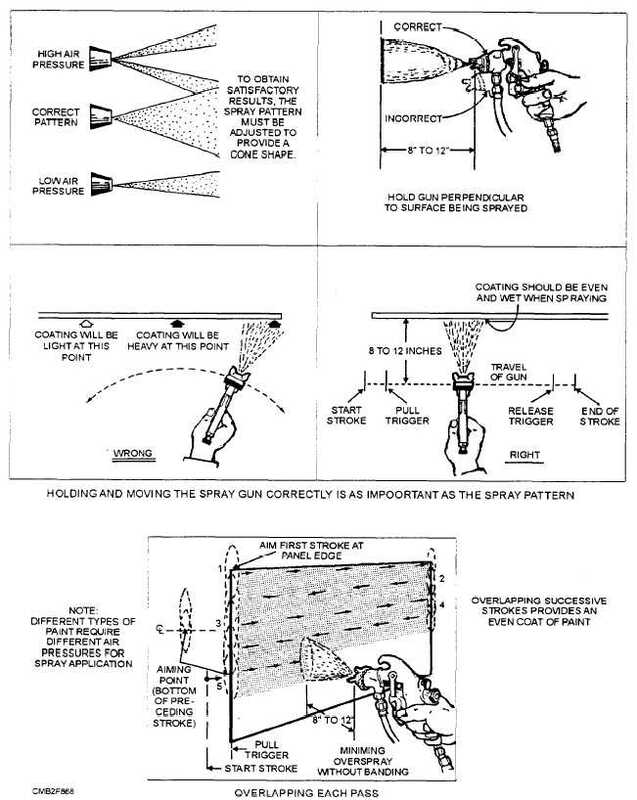 Figure 8-68.Proper operation of a spray gun. Home > Construction Training Manuals > Construction Mechanic Basic Volume 2 > Figure 8-68.Proper Operation Of A Spray Gun. Figure 8-68. - Proper operation of a spray gun. and a reduction in equipment life. Corrosion can be slowed by proper cleaning and the correct application and maintenance of protective coatings, such as paint, undercoating, and preservatives. Body corrosion occurs primarily where poor ventilation caused by clogged drain holes or accumulations of mud and sand allow moisture to remain on unprotected metal surfaces.